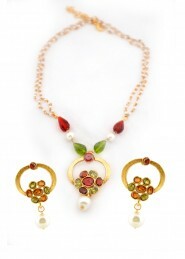 Gold plated drop earrings with pink and white beaded stones..
Gold plated earrings with Pendant set and red beads.. 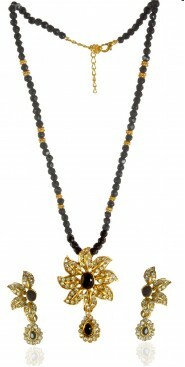 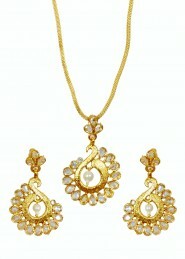 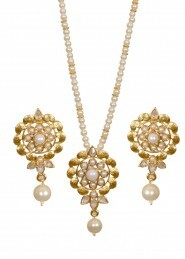 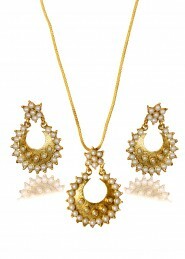 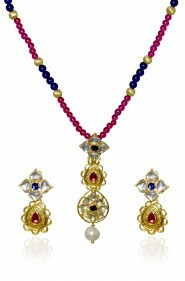 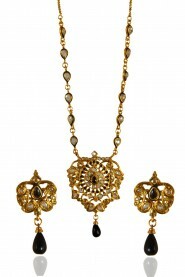 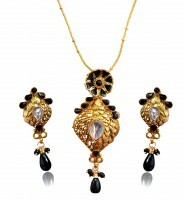 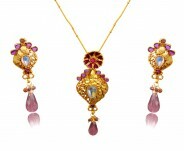 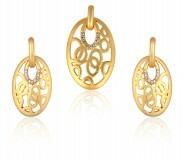 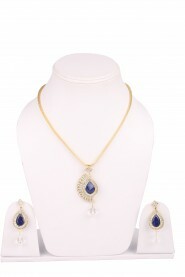 This gold-tone pendant set has a beatiful pendant studded with sparkling zirconia clear crystal stones along with a beautiful bl..
Kshitij Pink Beads Star Pendant Necklace Set..
Gold plated earrings with Pendant set and black beads..
Matte finished overlapping circular loop pendant and earrings set with inner diamond ring..
Elegnat peacock pendant with two earings. 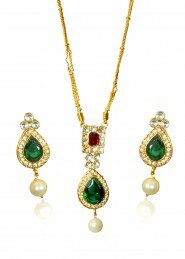 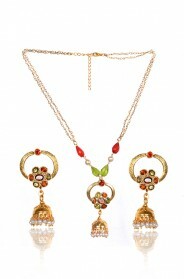 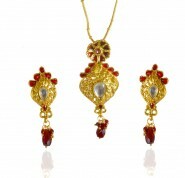 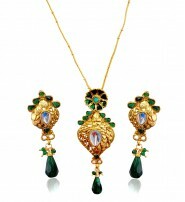 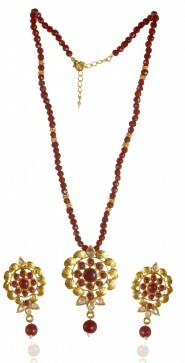 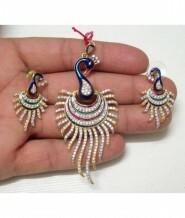 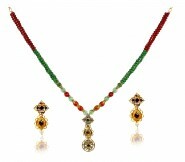 ..
Gold plated earrings and pendant set with red and green stones..
Gold plated drop earrings with green and white beaded stones..
Gold plated earrings with Pendant set and red and green beads..
Gold plated earrings and pendant set with pink and blue stones..
Gold plated drop earrings and pendant set with green and red precious stones..
Gold plated block pendant set with black and white beads..
Gold plated drop earrings with black and white beaded stones..